The Premier League is already in full-blast and with it are its teams and players each vying for a place in the top ranks of the contest. And the start of the season proved to be already heating up as some of the underdogs proved the doubters otherwise. Over the course of the weekends, the league’s top teams played against each other. 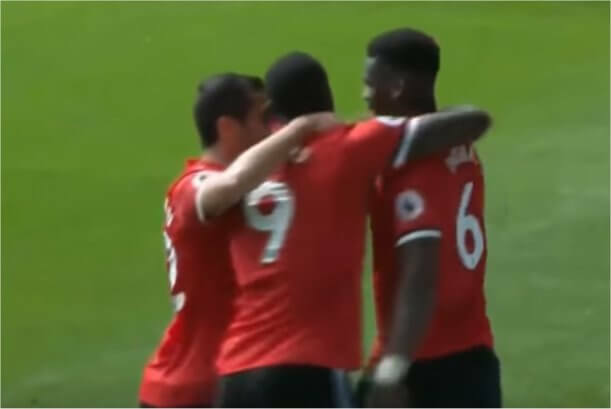 One of the weekends’ best highlights was when Man United battled it out against Swansea, in what many would call as a complete annihilation of the Welsh club. It was made possible with Henrikh Mkhitaryan’s impressive performance. But he didn’t take the spotlight all to himself as Watford’s Richarlison also proved himself to be worthy of getting the sporting community’s attention. The 28-year-old Mkhitaryan continued his impressive form following on from their first game against West Ham United. His dominance in the game started when he helped Pogba’s reverse pass over Fabianski. This was Man United’s first goal. After which, Mkhitaryan contributed two crucial assists in just two minutes. He did it in a confident manner which eventually bears fruit, having resulted in another goal. The series of fortunate events happened after that as two more goals were made by the Red Devils. Having made two appearances in the Premier League and playing for the first 173 minutes of his professional career, it sure is surprising to see Mkhitaryan excel in his game against Swansea. It just proved that he's a capable young man as what his accumulated eight total career goals and four total assists show. Being a great passer and dribbler, and showing his prowess in making through balls and crossings, it just seems that the Armenian’s footsteps of eventually becoming a star highly likely. His style of play also adheres to Jose Mourinho’s cutting and layoff style gameplay. For sure, the coaching staff would rely more on Mkhitaryan from this day onward. With Mkhitaryan’s exemplary performance, the odds that Man United is going to win its next game just skyrocketed to 1/4. And that’s just what happened as they won against the underdog Leicester who has 11/1 and +2.0 odds. After which, they remain to be the favorite in their next game against Stoke on Sept. 9 with 8/15 while Stoke gets 9/2 odds. Then there's the 20-year-old newcomer who proved to the world that a young man like himself could make a name for himself early in the world's best league's season. Having been acquired by Watford just last summer for a £13 million deal, he just gave the team’s management a hefty consolation with his impressive performance over Bournemouth last weekend. At first, it sounded to be a disappointment to see the loved Stefano Okaka get demoted to the bench to make way for the youngster. This is the reason why the top betting sites in UK immediately reacted to the situation by changing the odds scheme of the team. But Richarlison just didn’t mind the issue as he just did his work properly. Showing surprising agility which eventually led to his first goal in the Premier League, he just showed that he’s worthy to be called a star in his new team. And take note that the game was just 17 minutes off the start. It sure was one of the best, if not the best start of Watford FC throughout its history in the Premier League. Compared to the Mkhitaryan, Richarlison frankly has a lot more potential knowing that he's already played 1,353 minutes. And he's just 20-years-old! What makes it even more jaw-dropping is that his first-ever Premier League game started with a bang. This is what led Richarlison’s Watford to be the 5/6 favorite in their game against Brighton last Aug. 26 with 7/2 and +1.0 odds. However, they are expected to be the underdog in their next game against Southampton's 4/6 odds on Sept. 9. Watford then has 4/1 odds.